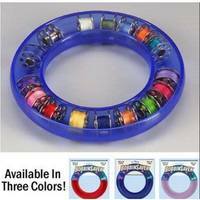 Save time and save thread with Prewound Bobbins. 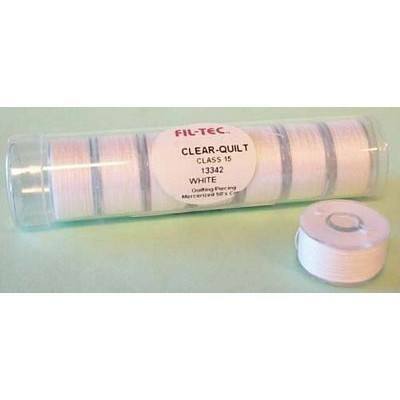 The Fil-Tec Clear-Quilt Bobbins allows you to both monitor the amount of thread on your bobbin and ensure even winding throughout. The clear plastic bobbin and storage container protect your bobbin thread from oil and humidity, thereby maintaining its original quality and structure. These Class 15/A bobbins are suitable for most domestic sewing machines. Made in the USA.